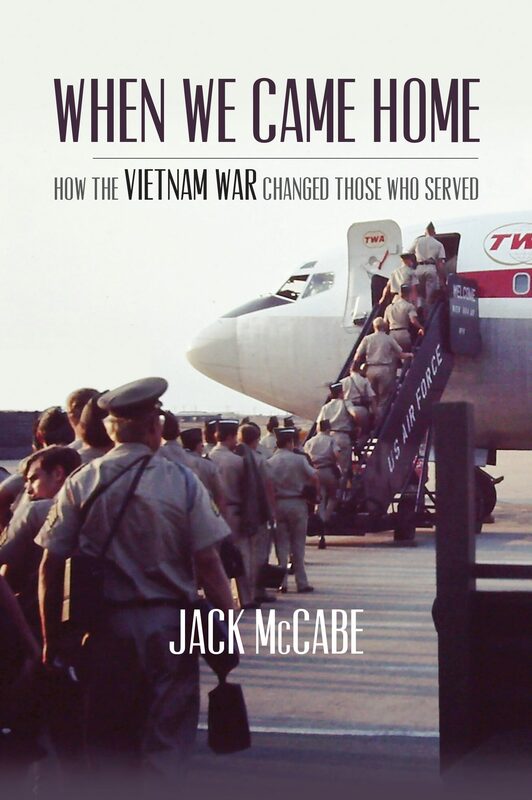 I have the honor of speaking at the Gastonia Rotary Club meeting on 19 July 2018 about my book WHEN WE CAME HOME, How the Vietnam War Changed Those Who Served. It is a special honor because July 19th is the 47th anniversary of my friend Rick Page’s death during a rocket attack on Phu Loi. Feel free to join me. The meeting begins with a buffet lunch at 12:00 followed by the general meeting. I will speak at 1:00 for 30 minutes. I went to a big reunion in Houston in 1987. I was out walking in Hermann Park by myself with my “Donut Dollie” T-shirt on when I saw a man coming toward me. A lot of the veterans at reunions wear fatigue jackets and hats, but this one was nicely dressed in khaki pants and a polo shirt. He had on big sunglasses that prevented me from seeing his eyes, but the closer he got to me, the more aware I became that he was crying. He was so choked up he could hardly say more than “Excuse me, excuse me.” He stopped me and stood there and cried, tears just rolling down his face and onto his shirt. “I just feel so bad,” he said. I told him that one of the reasons we were together was to get our feelings out, to talk about them. “What is it you want to say?” I asked him. “I never told you girls thank you,” he sobbed. “I never said thank you:· He had been at Lai Khe with the Big Red One. He remembered the Red Cross girls in those bright blue dresses jumping off the resupply chopper. Perfect strangers come up to me at reunions and just talk and talk and talk. It doesn’t matter if I was in Vietnam at the same time or place they were. What matters is that I was there at all. They’ll say, “You came to my bedside and you held my hand and you wrote my mother, or you came out to visit my unit.” They don’t mean me specifically. They mean the collective me. Me, the Red Cross girl. I still get letters from veterans who had really bad experiences in Vietnam. One, in particular, an Americal Division company commander from Louisiana, writes and calls me now and then. He lost sixty-eight people in his company in one night. He’s been divorced three times and just can’t seem to get it together, but he knows I understand his pain and he trusts me with his feelings and memories. Was the war worth it? In a personal sense, it was for me. I learned a lot about myself and about life and commitment to others, but it was different for the nation. If we ever get ourselves into anything that stupid again. Vietnam was worth nothing. I would not ever want my sons to be in such a futile situation. Vietnam truly drained the youth out of so many people whose lives are never going to be the same. A lot of veterans lost their friends and part of themselves there, and I think they know they will never recapture what was left behind. The heavy casket plunged straight down about six feet. The incoming water collided with the air pockets in the outer shell. The casket stopped abruptly, rose straight out of the water about three feet, stopped, and slowly slipped back into the sea. The air bubbles rising from the sinking casket sparkled in the sunlight as the casket disappeared from sight forever…. I was 9 at the time and still remember the car ride to the Norfolk airport in 1968 when my dad left Virginia for Vietnam. And I still remember the fateful knock on our front door in 1969, when an Army chaplain informed our mother he was never coming home again. The government mailed a widow’s check to my 29-year-old mother, Margot, who was faced with raising four young children alone. We buried our father with military honors in his hometown cemetery near the park where he had played as a young boy. The Army sent medals he had earned, including the Silver Star and a letter from President Nixon, and gave our mom the flag that draped his coffin. The Army sent no psychologists to help our family. There were no support groups, no Internet help sources and no Facebook groups connecting us with other survivors. The anti-Vietnam sentiment was at its height in 1969 America. No one in our family dared talk about it. That was until November 1982, when our family was invited to the dedication of the Vietnam Memorial in Washington, D.C. I was unable to attend, as I had just begun working at NBC in California, following my graduation from Virginia Tech (which I afforded thanks to the War Orphans Education Assistance Act). Both my sisters, Carroll and Angie, attended the ceremony, along with their husbands. Carroll called me afterward with an excitement in her voice: “Pat, you wouldn’t have believed it!” she exclaimed. “Dad’s name is etched on the black granite wall, and there were men from his company who were looking for his name, just like we were.” Our father, SFC Marshall E. Robertson, who had given his life for his country in the Vietnam conflict, had not been forgotten after all. But rather, he had been memorialized in the most meaningful way on The Wall, in our nation’s capital. Carroll and I went to work searching for our father. We had lost 13 years and had no understanding of his death, and we were not going to lose one more day. I flew home from California to Virginia for Christmas that year, and we began the search for our dad. Our mother, in her grief, in her youth, in her attempt at survival, had stored all our dad’s memories in a single cedar chest. She closed the chest and moved on with her life. There was no other choice back then. Now it was time to open the chest. There he was: his letters home from Vietnam, his voice on tape, the flag, the medals, photos of us as a family before Vietnam intervened. My sisters and I put the letters in chronological order, from the first one in October 1968 to his last letter in August 1969. Almost 300 letters. We spent days reading them, searching for understanding, feeling his love for our mother and for us. It was heart-wrenching. The smells of the letters, his handwriting, his devotion to his family, his growing disillusion for the war, his despair over mounting casualties, his concern for his young soldiers—it was all there. “How are the kiddies?” he asked in each letter. The kiddies were Carroll, 10; Patricia, 9; Angela, 7; Erhard, 6. Three girls and one boy. When we got to the last letter, we sat in silence. There it was, in his own words, in his own handwriting: the reason he died in Vietnam. SFC Marshall Robertson, 33, had led his boys for months, but his tour was coming to an end. He was pulled out of the front lines in summer of 1969 to begin rotating out, preparing to go home. He was what he called “short” in many of his final letters, counting down the days until he would be home with his family. But then word came to base camp that the platoon leader, an experienced lieutenant, had been evacuated on a medical helicopter out. A green lieutenant would be taking over the platoon and leading them into a hell called Que Son Valley. SFC Robertson felt he had no choice but to hop the chopper back to battle to lead his men, mostly 19- and 20-year-old boys. But first he wrote his wife to explain why he was rejoining his men. Sometimes a man has to do what he must. Please forgive me for this but my men have a brand new officer. The casualties have been high and I feel I need to go out there and help them. I know you will not understand but try to see my side of it. My love, if I should die over here, it will not be for my country or this country, it will be for my boys…. Tell the kiddies that I love them and if this is my last letter, please remember me. When I returned to L.A., I received a letter from someone in my dad’s division. It informed me of a book, Death Valley by Keith William Nolan, that told of our father’s heroism during the summer offensive of 1969. I spoke to Mr. Nolan via phone, and he provided the names of men from my father’s platoon. I phoned the “green” lieutenant whom my father had gone to help, and I wasn’t sure he would remember my dad. “I’m SFC Marshall Robertson’s daughter,” I said to the stranger on the phone. There was silence and then sobs. For years he had carried guilt about the sergeant who died helping him carry out his first mission. I assured him the family doesn’t blame the survivors. “Your father was a true professional and the platoon followed orders because they respected him. Everyone just liked the hell out of him,” the lieutenant told me. I also connected with Stan Cantrelle, the experienced lieutenant who had been in battle with my dad for 10 months before being evacuated. Stan and I have become friends, and he has shared with me some treasured photos of my dad in country. Your dad and I slept side by side each night that I was in the field and shared many conversations about our families. He adored his family and could not wait to get back to all of you. Your dad was one who cared about his men and desperately wanted to get all of them home to their families, along with himself. Two decades after our father’s death, we finally had some answers and began our healing process. I don’t blame anyone for the silence that surrounded the families after the Vietnam War. But I also don’t apologize to anyone who thinks silence should continue. We should have a deep devotion to their memories. Our father was a brave soldier who served his country with honor. The qualities that made him a great father at home were taken with him to Vietnam and extended to the sons of other families. Memorial Day is a day to recognize and give gratitude to all those who sacrificed so much.